"People in the sectors we work with – arts, disability, criminal justice – value the opportunities to make connections, share insights and knowledge, seek advice and be inspired. 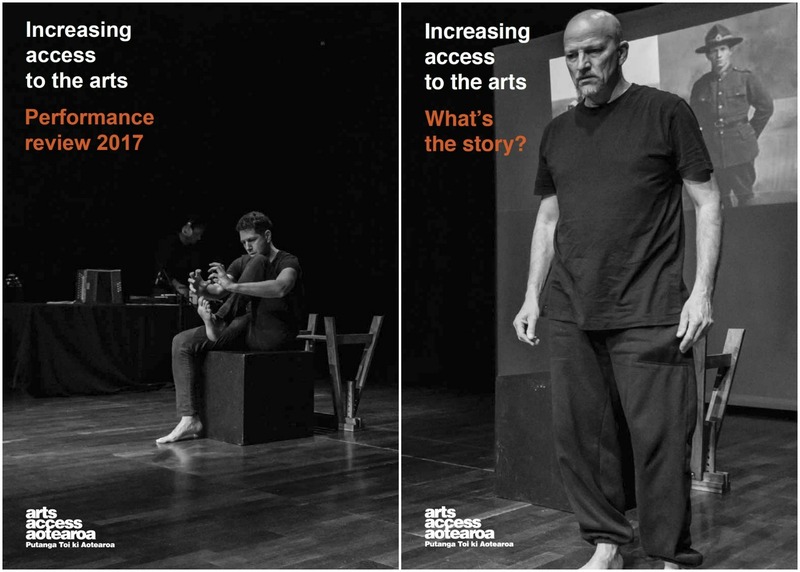 Arts Access Aotearoa provides these opportunities through the regional networks it facilitates," write Chair Howard Fancy and Executive Director Richard Benge in the their report introducing the stories and statisitics that encapsulate the work of Arts Access Aotearoa in 2017. Arts Access Aotearoa’s independent Auditor Reports for the year ended 31 December 2017 are published in its Performance review 2017. This document includes its Statement of Service Performance, Statement of Financial Performance, Statement of Financial Position, Statement of Cash Flows, Statement of Accounting Policies and Notes to the Performance Report. Check out the photos, taken by Eliecer Reverol, of the AGM on 25 May 2018. Original generation time 1.3113 seconds. Cache Loaded in: 0.0177 seconds.